Yes, they have released a DK/8ply yarn! Curses to them, was I not addicted enough to their yarn? Does the thought of fighting over a new base every Friday afternoon fill me with dread and excitement? 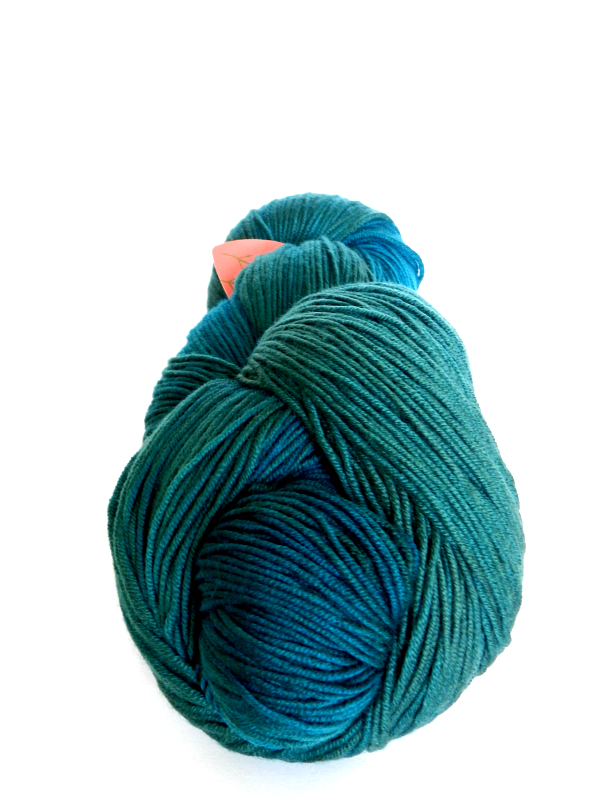 If you are wondering what I am going on about, it’s the delicious German yarn from Wollemeise. They have a cult following, which I find myself heavily ensconced in! They have an update every Friday, 4pm EST (which changes when the clocks in Australia and Europe change). Previously they had three bases. Lace, Pure & Twin (both 4plys). 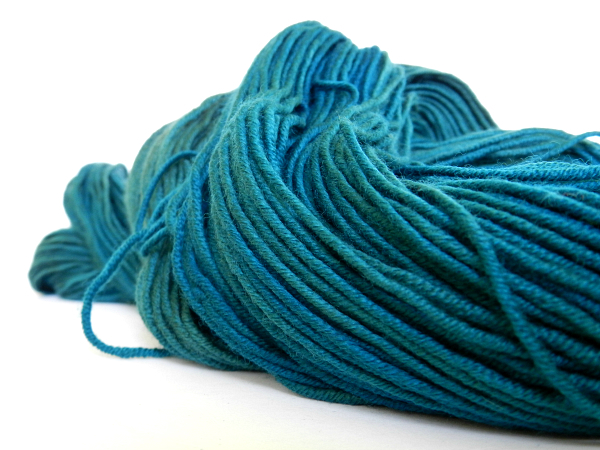 The yarns are beautifully dyed with rich, saturated colours, both semi-solids and variegated. On an update, it’s pretty much a ‘supermarket sweep’, no time to browse or ponder, you just chuck it in your cart and hope that you don’t lose it at checkout. It’s a learned technique just to find the best way to get what you want, but SO worth it. 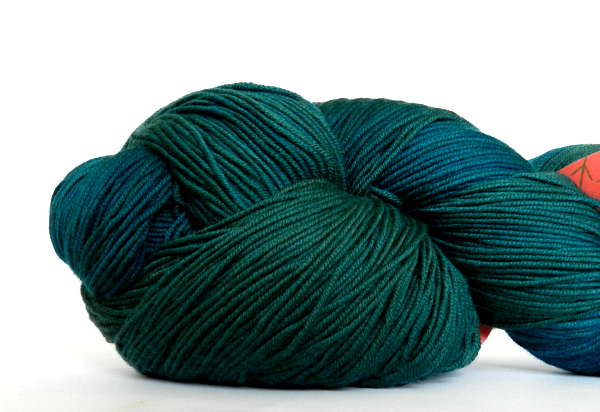 I have an exorbitant amount of WM yarn, and I buy mainly sweaters worth each time, or the odd skein for shawls. I felt I was happy that I had collected all the colourways I wanted, in most of the bases, but with the arrival of this new DK, I am totally thrown again. 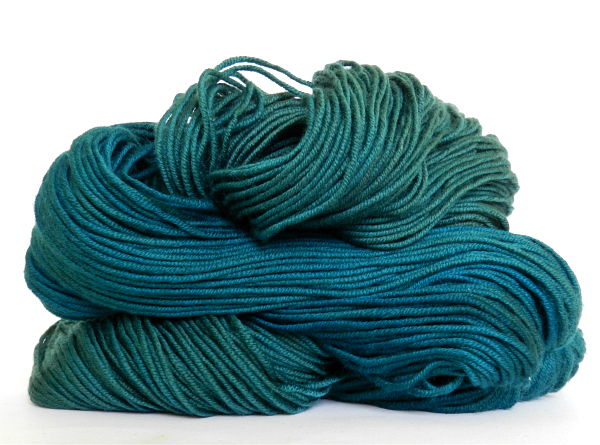 A whopping 200gm skeins with 468yards in each, you would only need 3 or 4 to knit a sweater or cardigan. Lethal for an addict! I put out a plea on Ravelry for just one hank of this new DK, so that I could squeeze, inhale and generally rub the yarn against my person. I was lucky, someone had too many skeins (are you sure) so was happy to let this one go to me (YAY!). The colour is Flaschenpost, as gorgeous teal green. SO, the VERDICT! Oh My GOD! Yes, it’s all that and more (in my opinion anyway). Very soft and squishy and I am just hanging out for the next update, hoping that I’ll be able to grab some in the Mont Blanc colourway!!! The Wollemeise Down under Group on Ravelry is a great place to start your Wollemeise journey, but we warned, if you get sucked in, it’s very, very hard to get out!